Dessert Darling Pumpkin Pie from Whole Foods on Fairfax and 3rd | Dessert Darling and swooned in unison. In addition to it’s rich, creamy texture, fresh and delicate balance of flavors, Whole Foods never uses artificial colors, sweeteners, preservatives, or trans fats in their baked goods. Yes Yes Yes! I swear guys, this is how you get to eat desserts and stay thin, eat real food!!! This Pumpkin Pie from the Fairfax and 3rd location was pure perfection. 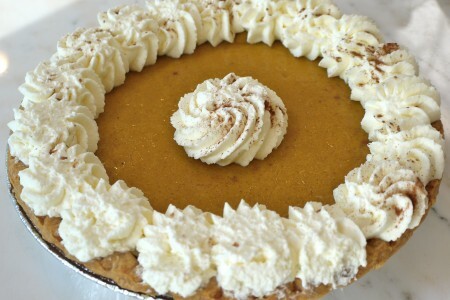 If you can’t make a Pumpkin Pie from scratch this Thanksgiving, order one from Whole Foods!